Free downlaod link Caterpillar Electronic Technician (CAT ET) 2015A and activation! Caterpillar mails three software updates to each user annually (Version A, B, C). Each computer requires a software license. Software license expires annually. A CAT Communications Adapter is required to connect a computer to the equipment. Re: Free downlaod link Caterpillar Electronic Technician (CAT ET) 2015A and activation! Thanks a lot for giving me to download. Please give me a favor. Where can i get ET 2015a activator. Please, I need to activate the cat et 2015A. svidarei wrote: Please, I need to activate the cat et 2015A. Contact me in PM box for activator. 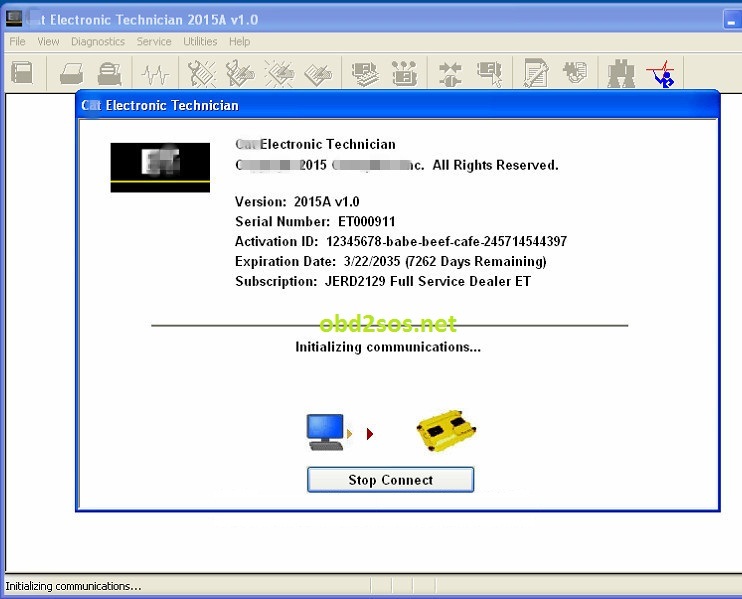 cristi-obd2 wrote: Caterpillar Electronic Technician (Cat ET) is diagnostic software required to communicate, diagnose and service electronically controlled Caterpillar engines and machines. When connected to an Electronic Control Module (ECM), a technician has the ability to diagnose existing and potential problems, configure the product, and obtain data for analysis. For best download speed open the links by Mozilla Firefox or Google Chrome browser, after downloading unzip the software by WinRar or 7Zip program. Would you be able to help me out with the activation code of the CAT ET 2015? Mays mobile wrote: Would you be able to help me out with the activation code of the CAT ET 2015?